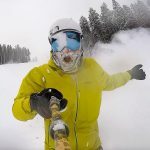 There’s a lot on the schedule between now and Vail’s 2018-19 Opening Day of the ski season. From the inaugural Whistle Pig Vail concert series to the Vail Jazz Party and all of the other returning events, the valley’s summer schedule continues to keep people entertained before the snow starts to fall. Held every Tuesday evening throughout the summer at the Gerald R. Ford Amphitheater in Vail, the free Hot Summer Nights concert series is perfect for a picnic on the lawn. Gates open at 5:30 p.m. and the concerts start at 6:30 p.m. each Tuesday into September. Series tenure: Started in 1987. This 12-week program brings the best talent in the jazz world to the Colorado Rockies. The annual Vail Jazz Festival consists of six distinctive series that run from June through September, including Vail Jazz @ Vail Square; Vail Jazz @ the Market; Vail Jazz Club Series; Vail Jazz @ Remedy; Vail Jazz Party; and new this year, Vail Jazz @ The Riverwalk. The jazz fest runs through Sept. 3 and includes more than 70 performances with 200 artists, filling the streets of Vail with sounds of swing, salsa, blues, Latin, bebop and more. Festival tenure: 24th annual event. Gourmet on Gore is a culinary festival offering open-air tasting with world-class wine, beer and spirits paired with delights from Vail’s top restaurants. The event takes place over Labor Day weekend each year, Aug 31 to Sept. 3, with events on Vail’s Gore Creek Dive and Bridge Street. There is no cost for admission, just pay as you go. Festival tenure: 11th annual event. More information: Visit www. gourmetongore.com. Man of The Cliff is the 10th annual nonprofit event comprised of outdoor, rugged activities that are modified to fit all strength and ability levels, male and female. Historically held in Red Cliff, this year’s event will take place at Nottingham Lake in Avon Oct. 13-14, with 100 percent of all funds raised benefiting local charity First Descents. Events include ax throw, hammer toss, archery, keg toss and more. Celebrate the pleasures of the palate at Beaver Creek Wine & Spirits on Aug. 9-12. 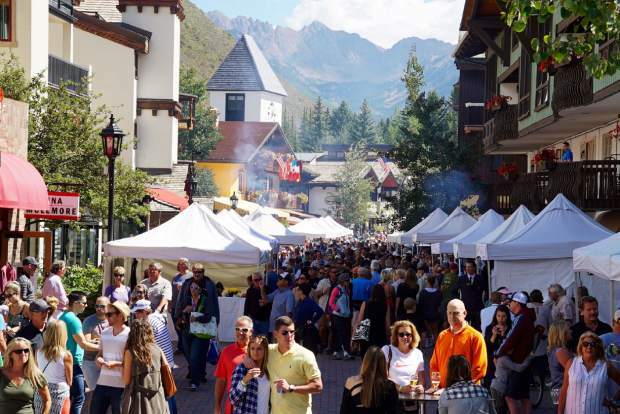 The festival combines Beaver Creek’s culinary talent with exclusive wines and outdoor venues. Festival tenure: 12th annual event. Adopt a duck and send it down Gore Creek in the annual Vail Rotary Club Duck Race on Sunday, Sept. 2. The first duck across has a chance at a million dollars, and other prizes are awarded. Event tenure: 20th annual event. This summer, the inaugural Whistle Pig concert series will fill the Gerald R. Ford Amphitheater in Vail with headlining talent. So far the series has brought Dispatch (June 16) and Robert Plan & The Sensational Space Shifters (June 19) to town. The Jerry Garcia Birthday Band performs Aug. 17-18, and 311 performs Sept. 13. Whistle Pig is another name for a marmot, which have been sighted around the Ford Amphitheater grounds dating back to its earliest days of construction.